Firewood and Pellets from GD Logs in the North East – Wood Pellets now in stock!! Firewood and Pellet supplier GD Logs, is based in North East of England. We deliver kiln dried firewood and EN Plus certified wood pellets direct to your home across the North East. We supply only kiln dried hardwood. This wood has been dried to a moisture of around 10-15%. Cut into 25cm lengths and is perfect for your log burning stove. All our firewood comes in handy nets. We sell the by equivalent of dumpy bags. The advantage of the nets is that its easier for you to stack. You can see exactly what your getting. You can assess your usage so that you don’t run out unexpectedly. 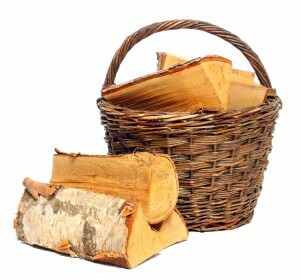 Our kiln dried firewood are top grade quality with a moisture content around 10-15%. We make ordering easy, just call text or email and we will be in touch. Delivery normally within couple of days, often sooner. We also offer a bulk buying scheme you you and your neighbours/friends and family can all buy together and make excellent savings. A bulk delivery will go to one address and your friends/family can collect from you. All of our firewood is stored in dry warehouses. They are then delivered in vans and covered trailers ensuring that your firewood is delivered dry even during the wettest of weathers. Our delivery area covers Sunderland, Cleadon, Boldon, South Shields, Gateshead, Newcastle, North Tyneside, Whitley Bay and areas in between. Deliveries are generally scheduled for evening throughout the week. This allows us to deliver when you’re home and also make us more efficient when there is less traffic on the road. Delivery charges vary so please contact us for details. Generally no more than £5 and often free!